Re-Creations in Glass: "THE EVA"
"The Eva" is a delightful addition to home decor. 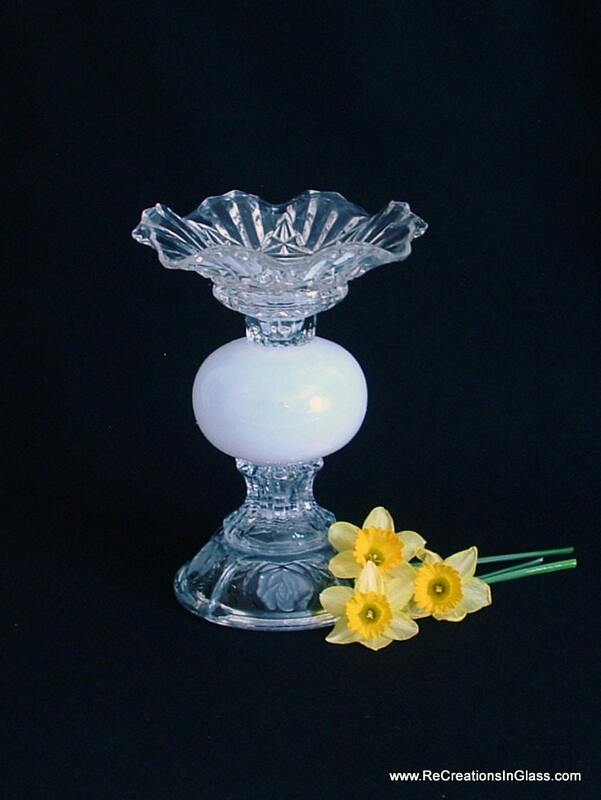 It can be used for candles or as a catch-all or candy dish. It is made with five pieces of re-purposed glass. The center is opaque white glass. The photograph with the candle is a votive-sized candle.